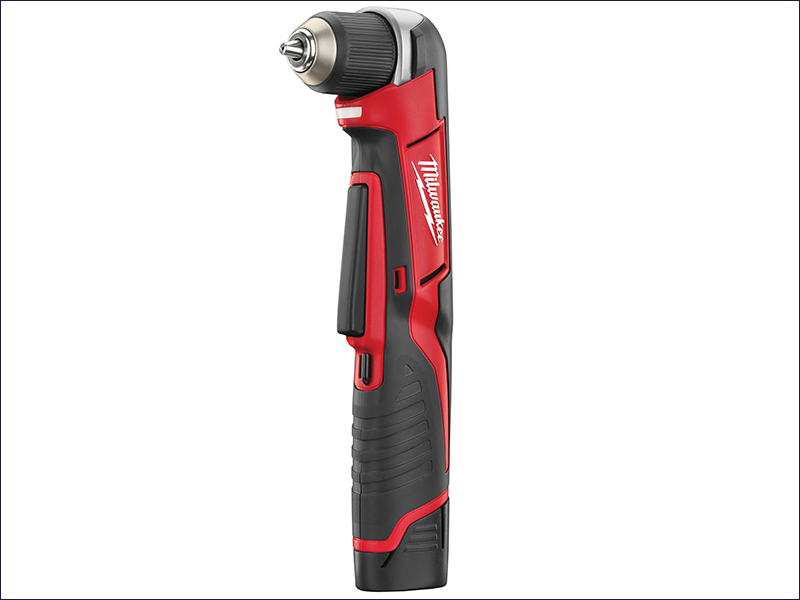 The Milwaukee C12 RAD Compact Cordless Right Angle Drill has a compact and lightweight design. Ideal for work in narrow and confined spaces, such as between joists. Also with a bright LED light to illuminate the working area. The drill has a long soft grip for comfortable working in any situation. The 10mm single sleeve chuck allows quick and easy change of a full range of accessories. REDLINK™ overload protection electronics in the tool and battery pack deliver excellent durability. The C12 RAD has heavy-duty full metal gearbox and gears for superior durability and maximum torque. Its slimline soft-grip handle provides comfortable use. Chuck Capacity: 10 mm Keyless. Supplied with 2 x 2.0Ah Li-Ion batteries, charger and tool bag.